Whether it is a management of big business projects, or negotiations, or signing a contract – all these actions are possible only in the case the businesspersons have a Russian visa. The issuance of this document requires special attention to details of the process. Some kind of business activity (business visit) – negotiations, management, etc. Commercial goals such as signing an agreement, visiting business forums in order to seek new contracts, etc. Pay attention! The issuance of a business visa starts from the issuance of an invitation carried out by the receiving party. The correctness of this document determines the possibility to obtain a visa successfully. The issuance of a business visa depends on actions of both the receiving party and a foreign national. The first interest of the receiving party is to issue an invitation. An invitation for foreigners is issued within 20 days. The duration can be reduced in exceptional cases. If you have any troubles with the issuance of the invitation, use our specialists’ help or fill in the form on the web. We will find the optimal way even in the most difficult situation so that you obtain a business visa by the deadline. When an invitation is issued it is sent to a foreigner in a form of a copy or original. Now he has a legal right to issue a business visa by applying to a consular department or to the Visa Center. Pay attention! The purpose of a visit indicated in the application form has to coincide with the purpose indicated in the invitation. It is not allowed to indicate employment as a purpose if you have issued a business invitation. The invitation can be sent to a foreigner in a form of a copy; most of the consular bodies do not require the original form. However, it’s better to have the original form in order to avoid unreasonable rejections. The medical insurance has to satisfy the minimum standards in the duration and the amount of the coverage. Besides, it has to be valid in the whole territory of Russia. In the case of a denial, a foreign national has a right to fix troubles and apply to a consulate again. Pay attention! Since a consulate doesn’t have to explain the reasons for rejection, you can have the same troubles while re-applying. In order to avoid it, use the help of our specialists. The visa application is considered within 10 days. As an exception, it can be done within 1 day (if you have paid a higher consular fee). Business trips allow you to issue either long-term or a short-term visa. 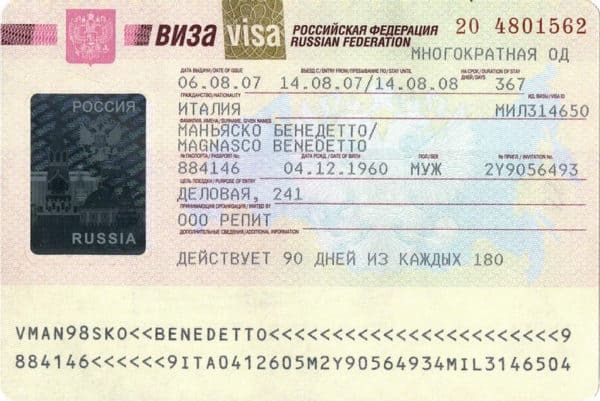 The maximum duration of a long-term visa can’t exceed one year, however, in this case, a businessman can’t stay in Russia for more than 90 days in each of half a year. If you need to prolong your visa, you have to go through the whole procedure again including the issuance of an invitation. 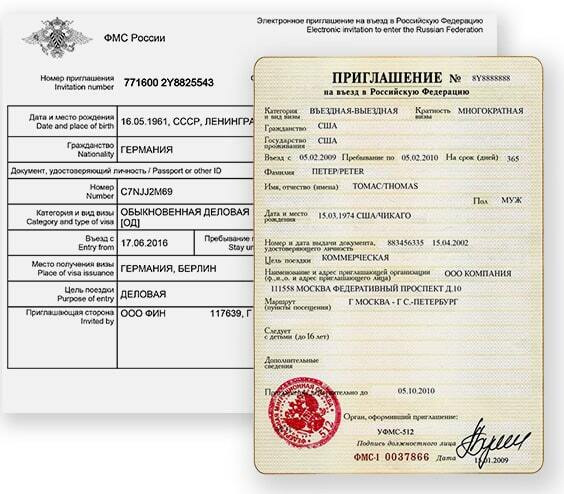 A foreign national has a duty to register in each location of stay during his visit to Russia. The registration is carried out by the migration authorities of the MIA or by the hotel where a foreigner stays. The violation of the registration order can lead to administrative liability and even to the deportation. In addition, this fact will be considered in the case of re-applying. If you need to obtain a business visa, use the assistance of our specialists. We will help you on every stage of the procedure including the issuance of an invitation.